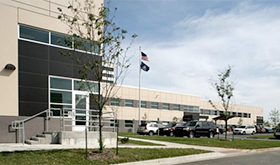 US Federal Properties (USFP) handled the development of the Gateway Tower building, which is 100 percent leased by the State of Kansas’ Department of Social and Rehabilitation Services. 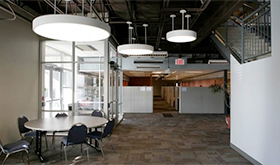 Completed in 2008, the Gateway Tower is a two-story, 72,900 square-foot office building in Kansas City, Kan.
USFP provided development services including daily management activities, financing, platting, architect and contractor selection, project administration, as well as tenant improvement oversight. The project is LEED certified by the U.S. Green Building Council.